The post Oil-free Vegan Biscuits 1 Bowl appeared first on Vegan Richa. Biscuits are a must side with gravy or other toppings for large holiday meals. They can be buttery and flaky without all the butter or even vegan butter! 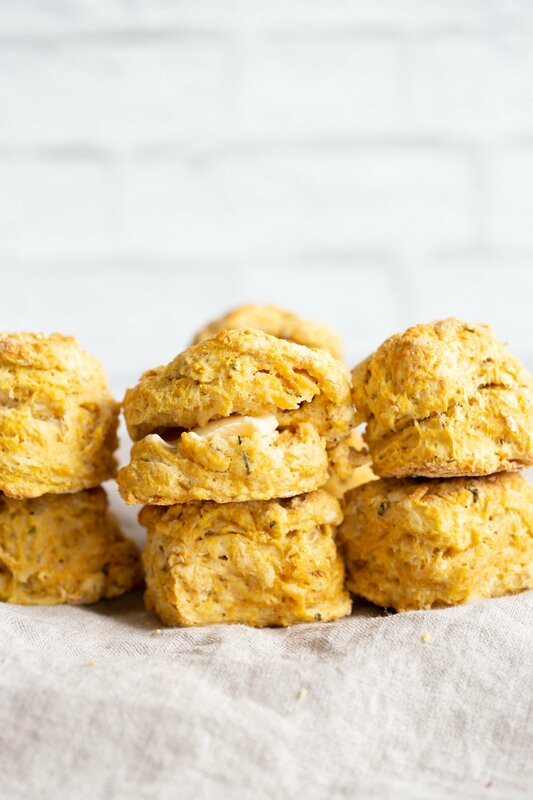 After making my no oil pumpkin scones, I used the similar process for these biscuits! Chilled coconut cream and sweet potato mash or regular potato mash replace the butter, Mix it all in until the flour is like breadcrumbs. Then add your vegan buttermilk and done. These Amazing Biscuits need 1 Bowl, 7 Ingredients, take just 15 mins of active time, and use simple methods. You can freeze the shaped biscuits to bake later to get warm biscuits when wanted!.Continue reading: Oil-free Vegan Biscuits 1 BowlThe post Oil-free Vegan Biscuits 1 Bowl appeared first on Vegan Richa.